Home > Products > BSPT Brass Nickel-Plated Push in Fittings > Air Fluid BSPT All Metal Speed Control Valve. Air Fluid BSPT All Metal Speed Control Valve. Air Fluid BSPT All Metal Speed Control Valve With Code No. : AJSC10-1/4 . Product Specifications: AJSC10-1/4 , All Metal Pneumatic Air Flow Control Valve or Air Speed Control Valve , 10 mm Tube OD x 1/4 BSPT Male. Collet Material: H59 brass ,Hex Size:S 14mm, Material of Construction: Nickel Plated Brass, Pressure (PSI) 1450, Temp Range: -20 To 100 Deg , weight :58.00g,Height:43.00mm Nickel Thickness: 10 um, O-ring: NBR-A , Thread Length: 9.50 mm,Package Quantity 10Pcs/Bag. 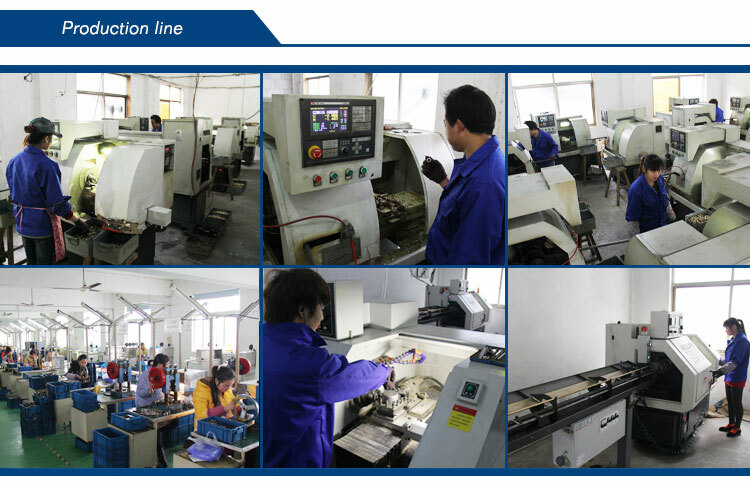 Characteristics: The Brass Collet is slot structure ,which is milled by Auto-CNC Machines to assure the even distance between the tooth to tooth. This way can guarantee the precision & sharp claw to catch the tube hose firmly & steadily. The Tee Connector ,Elbow ,Y Connector and Banjo Fittings are being forged with high compactness to avoid the space inside the solid fittings' body, The Polished Surface Treatment on the Forged fittings to wipe off the burr, spot and oil,the good character is the high adhesive power of nickel plating on its Surface. Air-Fluid Brass Nickel-Plated > Outdoor Mist Cooling System>BSPT Brass Nickel-Plated Push in Fittings > Lubrication Systems Fittings>Speed Control Valve > Pneumatic Push In Fittings> Slip Lock Fittings >Teflon Washer Metal Push in Fittings> Push to Connect Tube Fittings> Bspt Brass Nickel-Plated Push In Fittings. Looking for ideal Pneumatic Cylinders Speed Control Manufacturer & supplier ? We have a wide selection at great prices to help you get creative. All the Air Cylinder Control Vavel System are quality guaranteed. We are China Origin Factory of Air Speed Controllers. If you have any question, please feel free to contact us.